Here we go… birthday dessert #2! Here is birthday dessert #1 in case you missed it. I’ve been celebrating my 29th for a couple weeks now and am not stopping until we return from Colorado. We’re headed to Breckenridge next week to visit Kevin’s friends. Hiking, white water rafting, biking, eating, and all things summery and outdoorsy. Yes, I’m marrying a bonafide mountain man. We balance each other out. 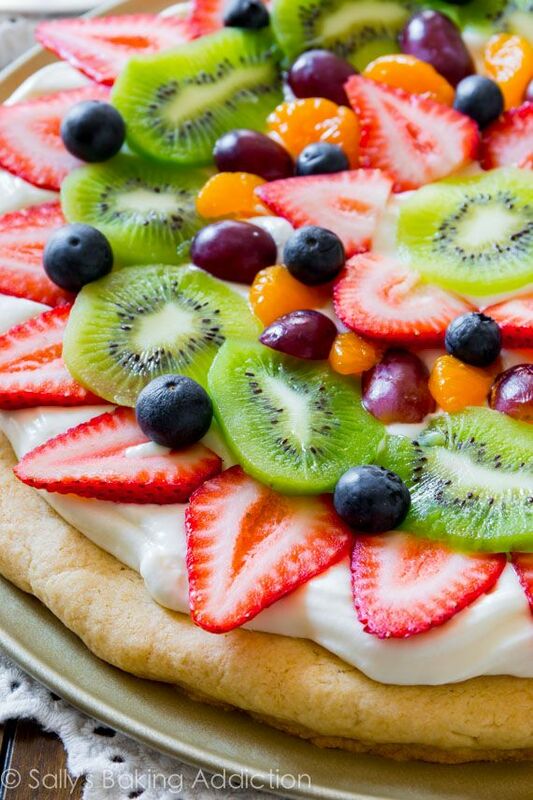 Anyway, let’s talk fruit pizza. Two of my favorite things in one bright and colorful dessert.